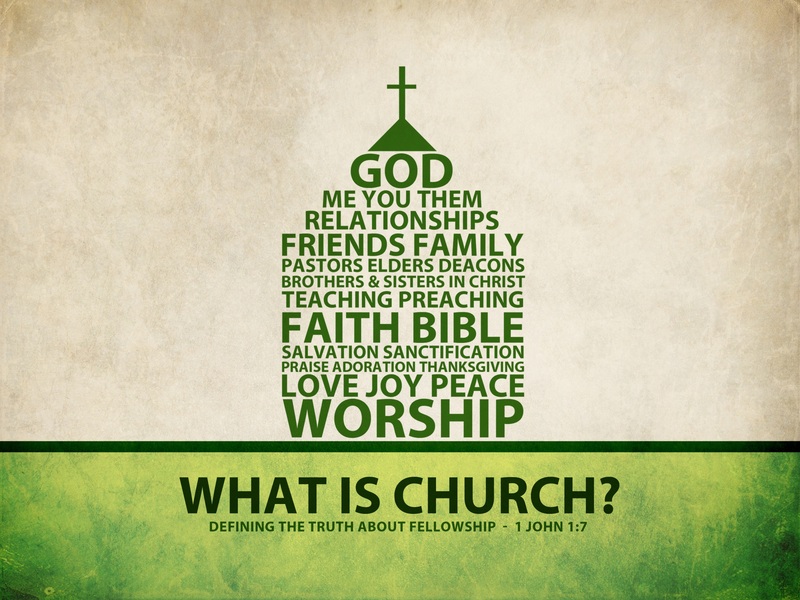 Church today takes on many forms, from the traditional collection of members meeting regularly in a building to house churches that gather in a living room or even churches in coffee shops, restaurants or other public places. But can a church go online and still keep the biblical requirements for church? Paul Alan Clifford from Trinity Digital Media talks about what it takes to properly put together an online campus in a recent episode of his Tech No Babel show. Watch it below and then see what the Bible requires for a group to claim the status of church listed after the video. It’s an interesting idea and a traditional church pastor like me struggles with the idea. How can you do church without a building and a regularly Sunday morning worship serviced where people gather in one place to sing, pray and listen to preaching or teaching from the Bible? That’s not the list the Bible offers for the requirements for church. There’s no one passage that neatly lists them, but here’s what I think the Bible says a church should look like. Pastoral Leadership – Ephesians 4 talks about how God gave the church equipping gifts, including pastors and teachers. Without a pastor, we don’t have a church. Some churches lose their pastor, but they look for a replacement and often call an interim until they find one. An online church must have an equipping pastor. Community – In Hebrews 10:25 we read that we should not forsake the assembling of the community. Can a group of people engage in community if they can’t see one another face-to-face? I have a group of friends that I’ve never met in person, but they’re still important to me. I’ve shared private prayer needs with them. I laugh when they tell jokes. I feel the pain of their struggles. We are friends and fellow believers. We share community. Why can’t people do that online for one another in a church? Disciple-making – Jesus commanded all people to go and make disciples in the Great Commission (Matthew 28:18-20). Any online church that’s not effectively teaching people to observe all that Jesus commanded them isn’t a church. Evangelism – As a part of making disciples we’re told to “do the work of the evangelist” in 2 Timothy 4:5 meaning we as believers must share the Gospel with others. Without evangelism you don’t have church. Ministering – Some people call this service or care-giving. Whatever you call it, its loving others and meeting their needs. The early church appointed deacons for this purpose. Without people sharing and meeting the needs of others, you don’t have a church. Deacons organize this, but everyone’s responsible to minister to the other members of the church and their community outside the church. This, more than possibly anything else, grew the local Jerusalem church in the early days of its history in Acts. Worship – This seems like the easiest one to fulfill online. After all most online churches stream “worship services” to their online community. Are the viewers really worshipping? Viewing a stream seems quite passive. If the online participants worship, then they can claim to have a church. If not, then it’s not. I’ve watched streamed worship services and it feels like watching a TV program, not actively participating in a church. It seems like the easiest element to fulfill, but might be the hardest. As I look over the list above, one thing stands out; many churches fail to measure up to the Biblical requirements of church whether online or offline. How many churches fail to make disciples, effectively share the Gospel, never really meet needs and don’t sincerely worship. Instead they’re performing a series of habitual activities that resemble worship but without any power? If a congregation doesn’t include these six things, then it’s not a church. If it does, then who cares whether all the people meet in the same building or online. As Paul Alan Clifford says in the episode of Tech No Babel posted above, a dedicated pastor can help the online campus achieve the status of church. That’s not possible for some churches. Adding new staff for this group may not make sense financially. However, they could add the duties to someone already on staff. This only works if the person prioritizes the online members. Their needs can’t tumble to the bottom of the to-do list every day. Getting a volunteer whose mature and needs some experience is a better solution for an online church pastor. Maybe a church has a person whose got the gifts and skills to become an effective pastor, but not the training or theological education. Here’s a great way to let them learn on the job as an apprentice of the church’s pastor. Serve as the online pastor and meet the needs of the online attendees by calling on the online members through digital means. Pray for them and even teach them through a YouTube channel or video chat. Second, setup a way for these members to enjoy community. Use Google Hangouts or Skype. Find some way for them to get together regularly for online fellowship, prayer and even group Bible study online. If possible, schedule some in-person time for those living close to one another. Finally, encourage them to minister to people’s online needs for the sake of the kingdom. Tech savvy members can volunteer to help people with tech needs. This is the digital version of raking leaves for a senior citizen. In the process they’re sharing the love of Christ in a tangible way. They can also share prayer needs in a private moderated online forum of some kind like a Facebook Group or a Google Community on Google+. Despite all we’ve said, I don’t think its a good idea for a person to make an online church their exclusive church. People need a hug sometimes. So who should attend one of these online churches? Here’s a few. Add your own to comments below. Shut-ins – train them to use the tools and even get them a computer or tablet to make it possible. Temporary attendees – people away at college, in the hospital for an extended time, or shut-in temporarily make great candidates for an online campus. Potential members – someone might want to get involved with a church, but they don’t want to commit yet. They could find the church’s website and get involved in a non-threatening way. This person may be extremely shy and threatened by interaction with people they don’t know. Inmates – Paul had a great ministry to people in prison since he found himself in one a few times. A church could do the same digitally. Sunday workers – many people work on Sundays and can’t attend our services. Get them involved online so they can still grow until their job changes. Thanks for sharing my video, Kevin. I think I agree with your points. How many churches aren’t meeting Biblical goals for a church? How many Christian gatherings are? The problem isn’t with the method, but with how the people implement it. I agree that sometimes you do need a hug or to have someone rub your shoulders as you cry, etc. Online campuses aren’t ideal for those things, especially. As you pointed out, some physical so-called churches aren’t either. For more on my thoughts about online community, see this episode of my Monday show, Tech Help for Churches: https://www.youtube.com/watch?v=uYHrZjwnANU and for more about other uses of the live-stream, take a look at this article I wrote for Church Production Magazine: http://bit.ly/cpm1411. In previous versions of this conversation, I’ve found myself at something of an impasse with many: (c)hurch as a destination seems to miss the point of the connection. Yes, I get the theological, sociological, and largely behavioral attachments to the context of (c)hurch, but I’m always careful to make sure that I first ask what parts are necessary, and what parts make that which is necessary a bit easier to deal with. In your piece Kevin, you raise some interesting points about what’s needed to have a church. I agree with a few (2,3) and disagree with a few (5,6). The glue that holds the community of believers together is the love they have for one another and witnessed by others (John 13:35), which has been shed plainly in their hearts by the Holy Spirit (Romans 5:5). This love is the execution of the greatest of commandments (Deut 6:5 / Mark 12:29-31) – by in its very nature is so plain, that it renders any efforts to confine it to a place, behavior, or computer state almost moot. Over the course of the history of our faith, a lot has gone into the debate as to what (c)hurch is. Those with a more orthodox background will reach your post and ask where are the sacraments (specifically, the presence of baptism, penance, and communion). Some more austere groups will ask why you might have curtailed the day to a Sunday in your point about those who work on that day – when the Scriptures (a) give no condition on which day of the week is the Sabboth, or (b) emphasize that its made for man first as a day of rest unto the Lord and then as a day of contemplation and reflection into Him. Plainly, we can say that aspects of Acts and other Pauline letters give us a description of the issues within a growing (c)hurch. But, very little of it (aside of the qualifications of those who might be considered leaders – not merely participants) is a definitive prescription. And as such, when we come into that question about the validity of (c)hurch being executed online, we have to be careful that we aren’t inputting into our contexts a Puritan/Methodoist/Anabaptist culture that simply cannot be duplicated in the manners and customs of the lives we now live. For example, weekends didn’t exist until the 1920s – we’d be careful to call Sunday a day of rest when at the same time the standardization of calendering in the USA was Sunday as the 1st day, no longer as the last (er.. rest-over) day. (c)hurch, as we should probably look for it online and off, has to be the witnessed behavior of several groups of believers whose actions demonstrate they care so much about God and each other, that they are living actors. Not that they attend any one place, sing a particular style, or pray a particular way. Those are only symptoms which come out of that overflow. The believer and the communities they live in are made better because of the quality of person they are – a chief characteristic being that they chase after God (with and without the company of others). And through that chase, that community endears themselves to God’s grace and/or God’s judgements. Antoine, you focus too much on Sunday while my post does not. So, I’ll let that discussion go. As for a church and #5 and #6, I can’t disagree with you more. 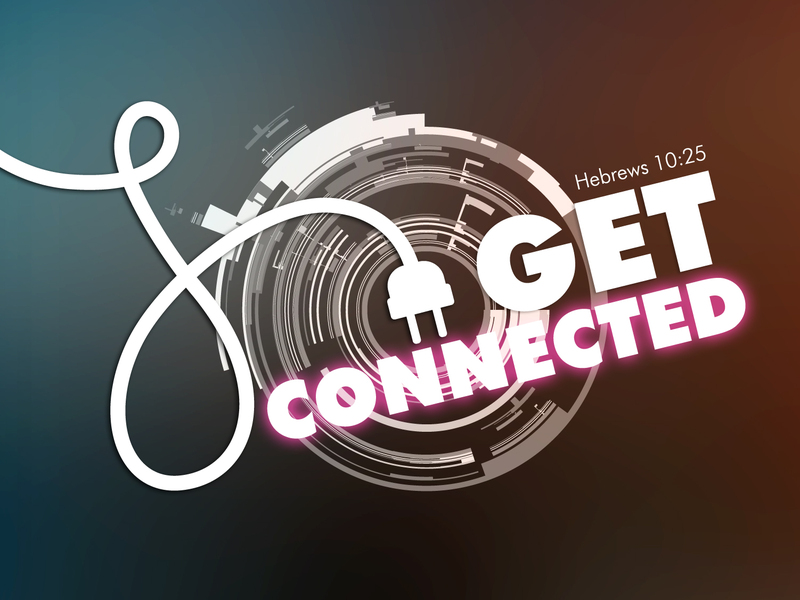 Those two things are of utmost importance for church community whether it’s online, offline or on Thursday at 2:00 a.m.. If we are not worshipping as a body, we’re not fulfilling one of the primary purposes of the church. If we’re not ministering as a body, we’re not fulfilling the Great Commandment as a church.